IT utilities collected on this USB drive were carefully picked and tested for every need you may have. 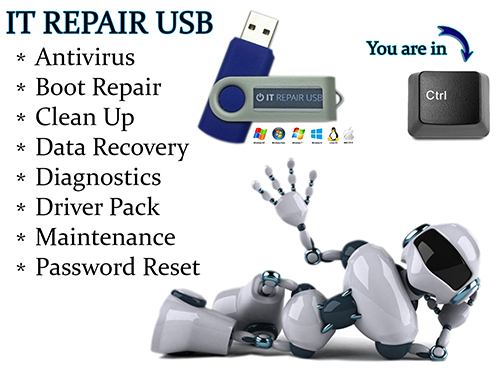 Virus and malware removal, cleanup, maintenance, diagnosis of the problem, complete hardware information, drivers pack, deleted data recovery/backup and much more will be available at your hands! 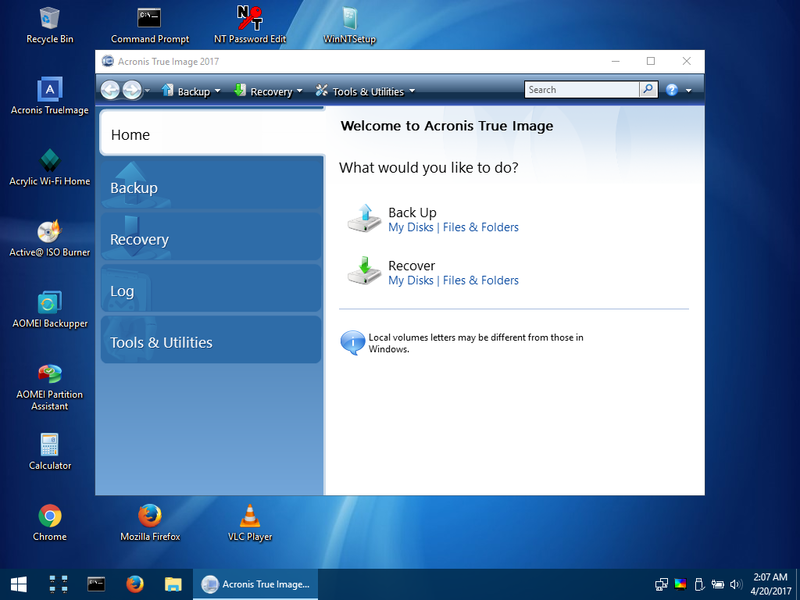 Many utilities are bootable – letting you fix your computer at the worst times, especially when viruses damage bootable files and/or file structures! Please check on the description for each tool to get more instructions, otherwise many tools are intuitive and require average computer knowledge. 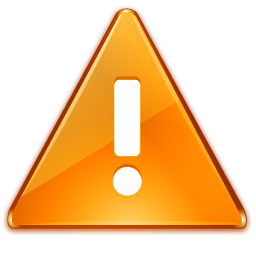 When using non-bootable method (with operating system loaded) all the IT utilities are in “Utils\IT Utilities and Applications” folder, DriverPack is in “Utils\DriverPack” on the flash drive. 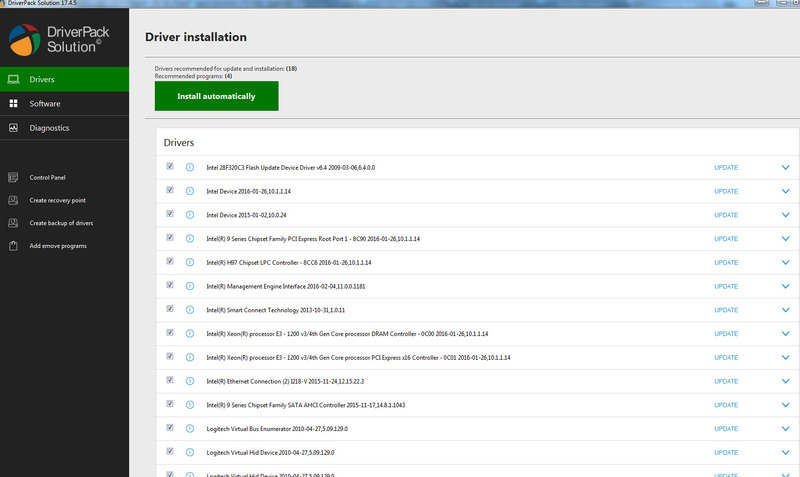 Driver Pack – huge collection of drivers for all Windows versions – install/upgrade! 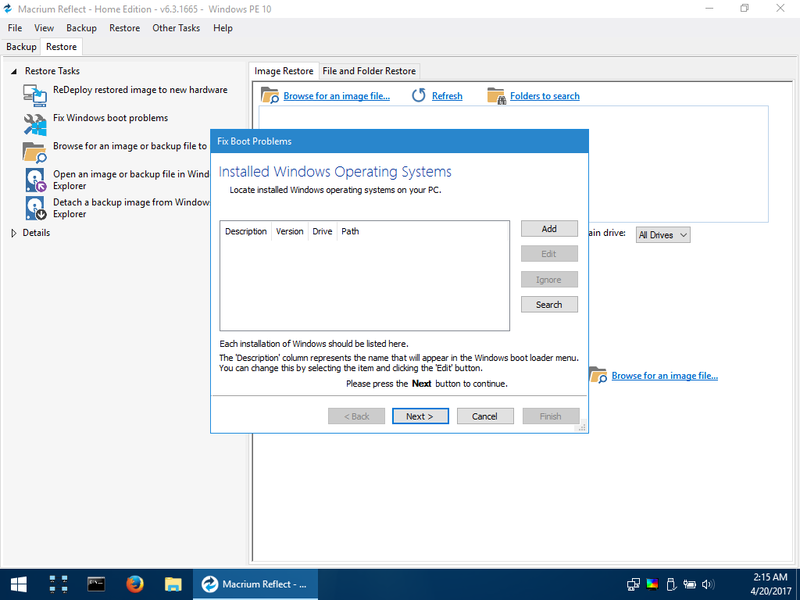 Windows PE 10 is a minimal Windows 10 operating system with a huge amount of utilities for getting your computer back up and running. 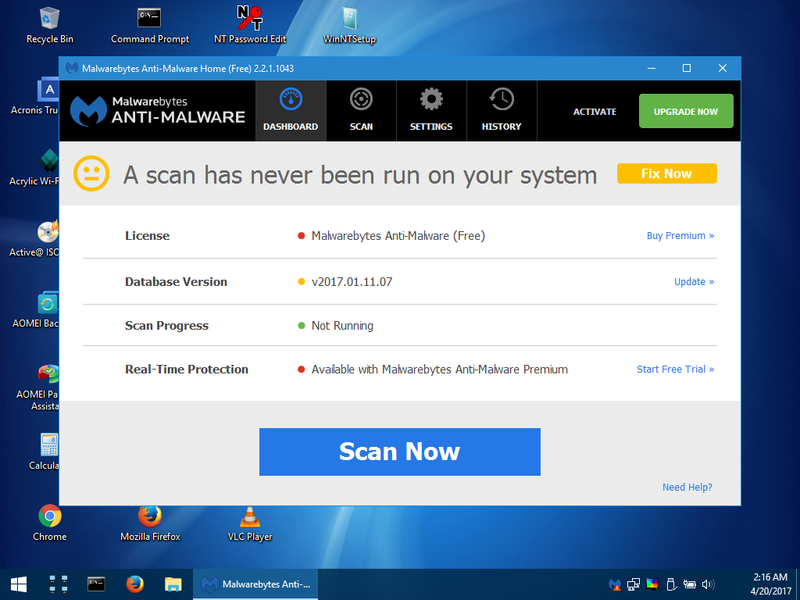 Removing hardcode malware and viruses, which prevent you from booting to your operating system or run an antivirus, fixing the windows boot files, retrieving/restoring data, installing drivers, checking on your hardware specs, remote control, and many many other tools. 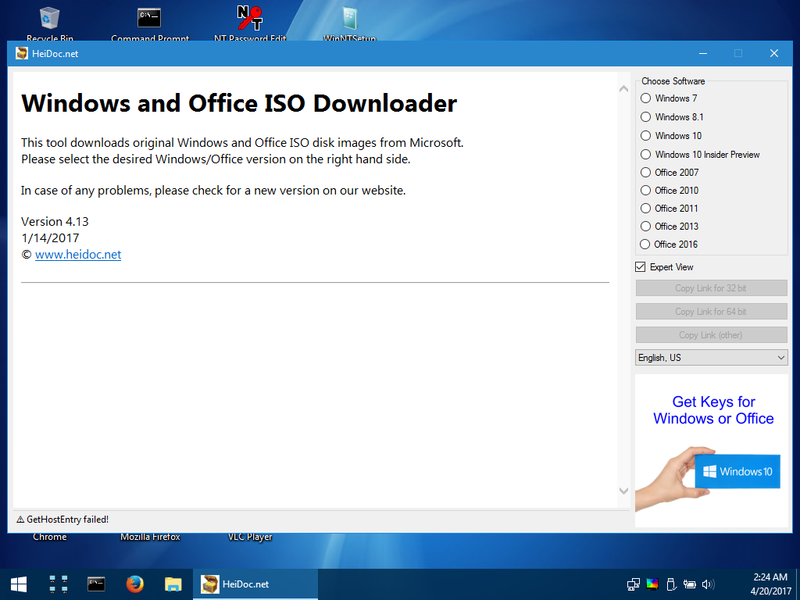 You can also connect to the internet via Windows PE and use TeamViewer remote control tool for IT professionals to remote into your machine and get it repaired! 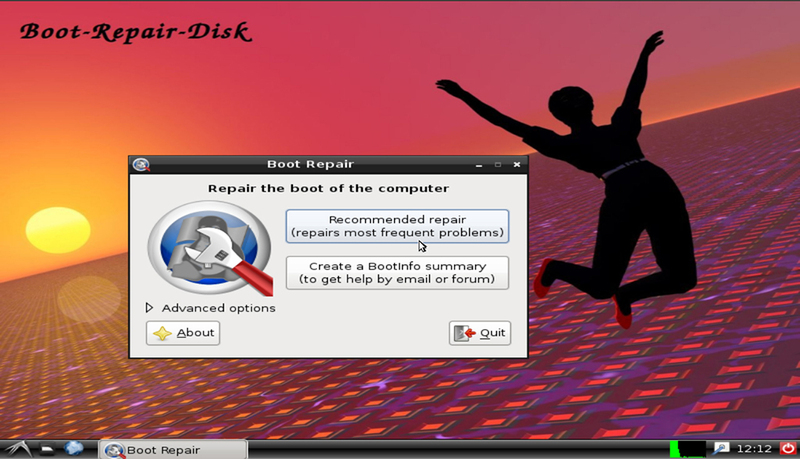 Repairs boot partition(s) when you system is completely non-bootable, does not require any advanced IT knowledge – just boot with the USB drive and run! 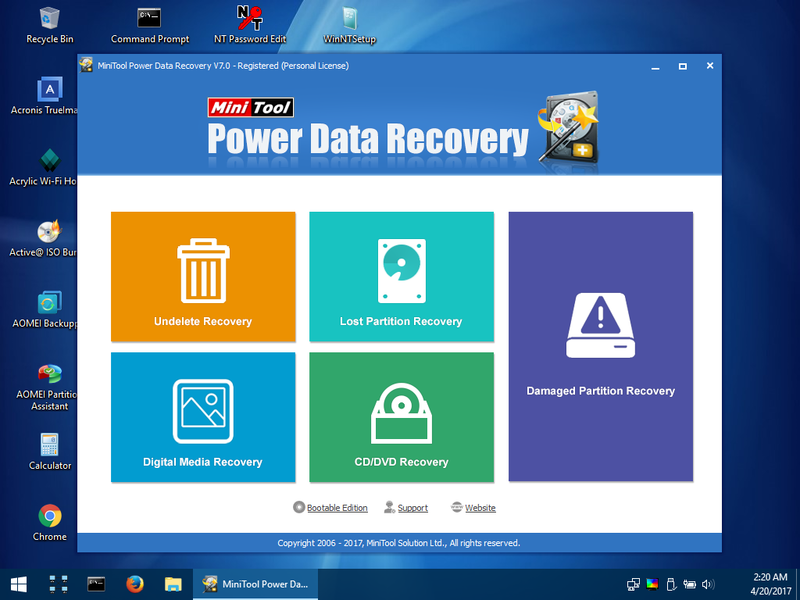 •	Can recover access to Windows (XP, Vista, Windows7, Windows8, Windows10). •	Can recover access to any OS (Windows, MacOS, Linux..) if your PC contains Debian, Ubuntu, Mint, Fedora, OpenSuse, ArchLinux, or derivative. 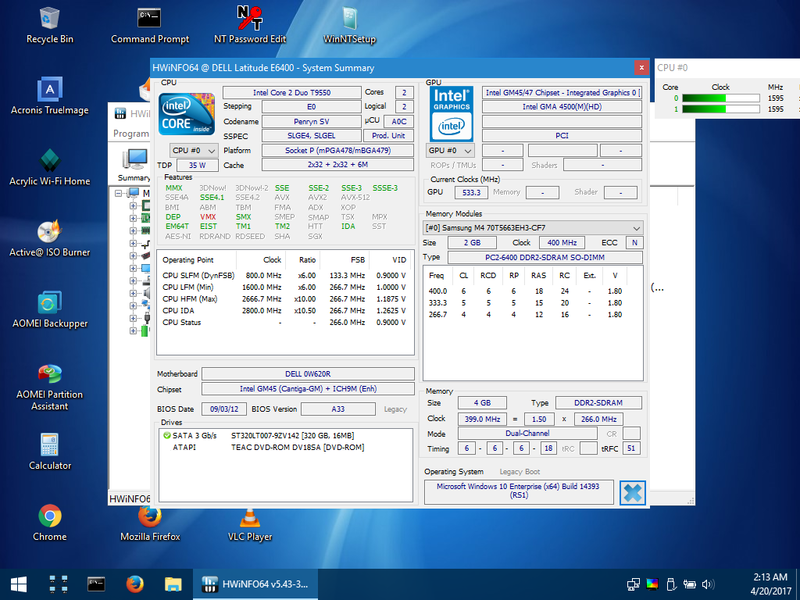 Ophcrack is a Windows password cracker based on rainbow tables. It is a very efficient implementation of rainbow tables done by the inventors of the method. It comes with a Graphical User Interface and runs on multiple platforms. Find more info / specs HERE! Reset Windows Password was developed for decrypting, resetting, changing and recovering Windows logon passwords and unlocking user account. For example, when the Administrator’s password is lost or forgotten. 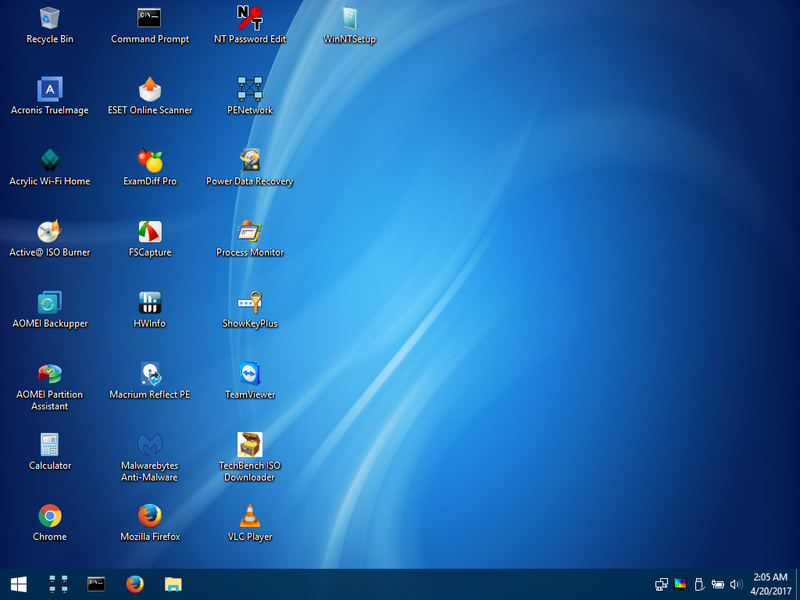 Reset Windows Password stands for the most functionally richest solution in its class. 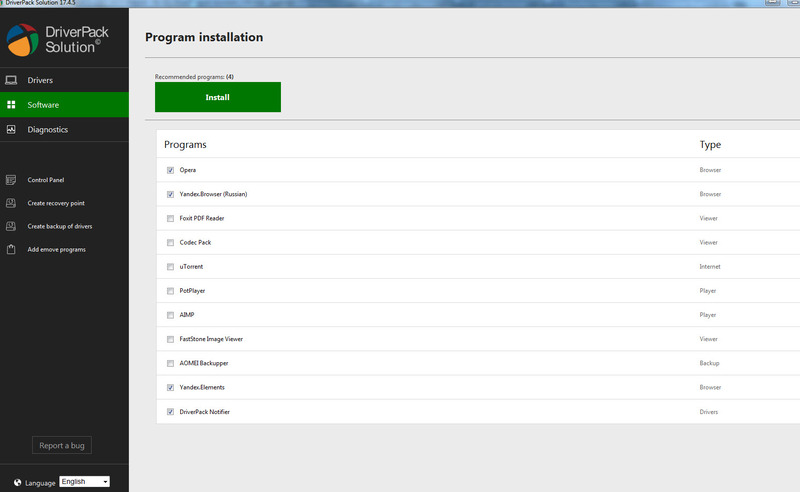 The program supports all versions of Windows, works with Active Directory, possesses artificial intelligence skills for recovering passwords instantly to certain accounts, can load hard disk drivers "on the fly" and demonstrates a number of additional unique features. 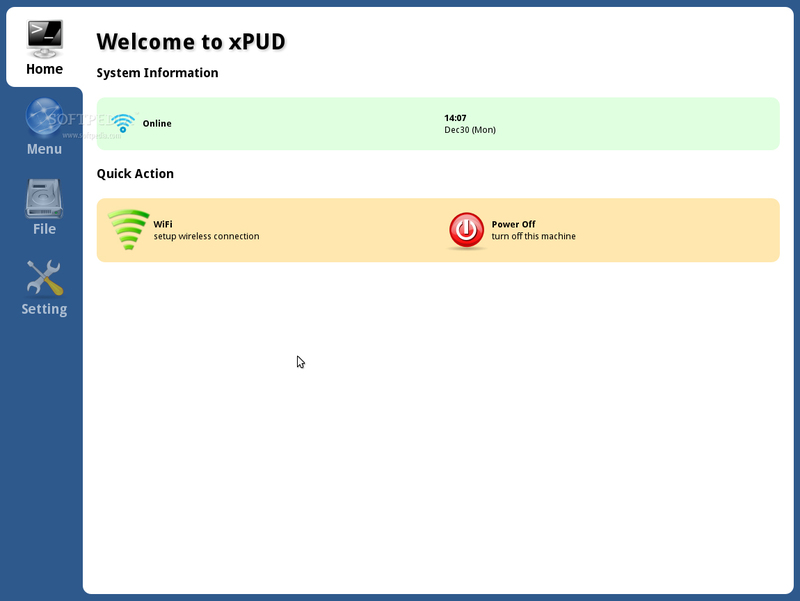 xPUD - is an unique Linux distribution, consisting mainly of a web browser and a media player, with a simple user interface on top. It can turn your computer into a kiosk-like station by leveraging web technologies, making surfing and watching movies as easy as pie. Find more info / specs HERE (Linux xPud)!